Performance Time: Approximately 30 minutes, 32 pgs. HOLIDAY CLASSIC. It’s Christmas Eve and newlyweds Jim and Della have no money to buy each other a Christmas present. Della decides to sell her long, lustrous hair so that she can purchase a gold chain for Jim’s prized pocket watch. 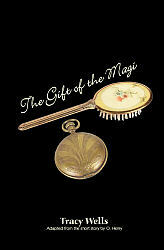 Meanwhile, Jim decides to pawn his pocket watch in order to buy Della a pair of hair combs to adorn her beautiful hair. In the end, the couple discovers the richness of their love through their self-sacrificing acts. Easy to stage, this timeless tale is suitable for audiences of all ages.